A good way to locate owls is to listen for the racket crows make when they find an owl. Crows harassing an owl, trying to drive it away, is called mobbing. Why do crows do this? Because owls eat crows, that’s why. Robert Burmaster who lives near Lake Nokomis took some wonderful photos on Tuesday that illustrate why crows make life uncomfortable for owls when they can. 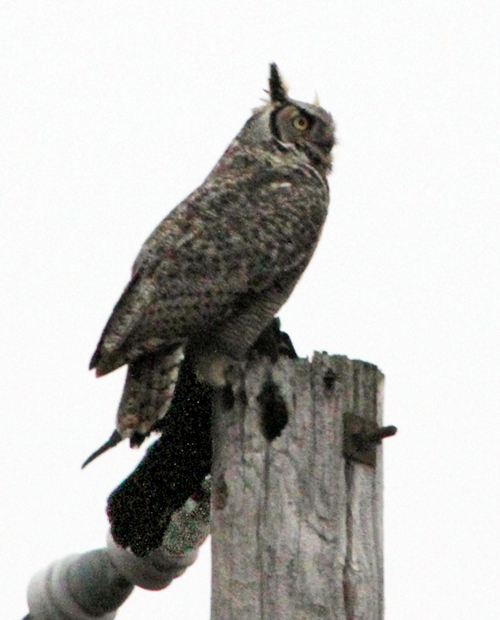 The first photo sho the Great Horned Owl with his captured (and apparently dead) crow. In the second photo, a live crow stands watch over the owl and his breakfast. 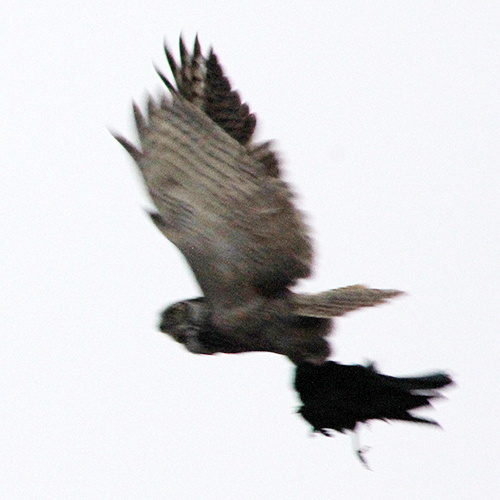 The third photo shows the owl carrying his prey away after being dislodged by the dead crow’s compatriots. 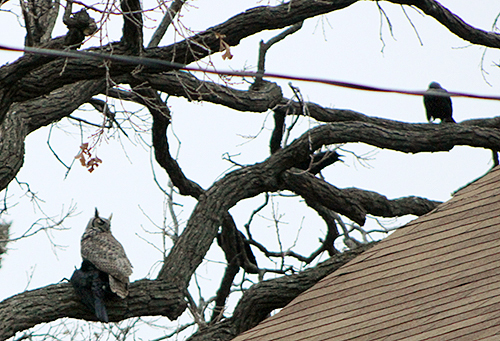 Mr. Burmaster watched this action for about 40 minutes, the crows driving the owl from one tree to another. He said that the crow flock numbered about 50.